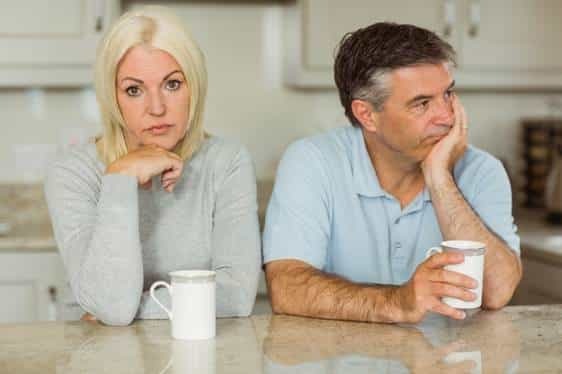 Feeling like a Misfit in a NT-AS Marriage – Kathy J. Marshack, Ph.D.
Any marriage is subject to ups and downs due to human nature in general and the individual partners, in particular. When Asperger Syndrome is part of the mix, the challenges easily mount. This is not to say that the Aspie partner is to blame or is at “fault.” However, given that the core characteristics of Asperger Syndrome relate to communication, emotions, perspective taking and sensory issues, the very components upon which relationships are built, it is no wonder that misunderstanding and frustration often crop up in these relationships. After years of adapting to your Aspie loved ones, many Neuro-Typicals feel “Aspergated” or as if they have one foot in the NT world and one foot in the ASD world. . . not quite fitting into either. Do you relate to this following scenario? Little by little you lose contact with your friends as you retreat into your spouse’s Asperger comfort zone. You quit going out to dinner and you quit inviting people over, because you’re Aspie partner complains, so it’s just easier to disappear. And because your social needs aren’t being met, the only way you know how to cope is to “shut down”, pretending that it doesn’t matter. Sure you don’t give up without a fight, but the efforts to fix the situation seem to be pointless. As a result, your evenings find you in one room watching TV or playing with the children, while your husband is glued to the TV in the den watching his programs. If you don’t start connecting with someone soon, you’re going to go crazy with resentment. But it’s been so long since you put yourself out there that it feels awkward, clumsy and so lonely. You feel like you just don’t fit in anywhere. Does this sound all too familiar? Are you feeling like a misfit? Fortunately we have the Asperger Syndrome: Partners and Family of Adults with AS group, whose members provide the deepest of understanding and caring. But where else can you go for this kind of support? Join us on March 21, 2015 1:00pm for our next local meetup in Portland, OR. Can’t be there? Then join the Asperger Syndrome: Partners and Family of Adults with AS international teleconference on Friday, March 27, 2015 at 2:30pm PDT. Let’s talk about how we can find this support or at the very least how to protect ourselves from the ravages of loneliness. Read more on my website: Asperger Relationships.